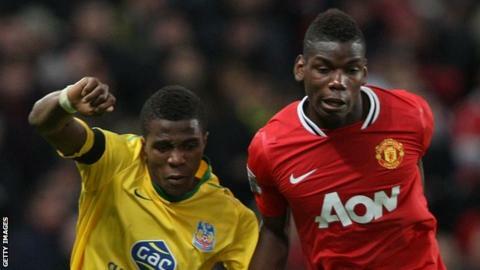 Manchester United are interested in signing Paul Pogba but there is no deal imminent for the France midfielder. Speculation has been rife about a world record £100m transfer from Juventus, but BBC Sport has been told no moves have yet been made. United have not had any discussions with Juventus. Furthermore Pogba, 23, is on Euro 2016 duty with France and does not want anything to distract his preparations for Sunday's final against Portugal. Juventus have refused to comment on the speculation around the player, whose contract runs to 2019. The Italian champions have not given up hope of persuading Pogba, who has won four Serie A titles with the Turin club, to sign an extension. It has been claimed that Champions League winners Real Madrid are his preferred destination. Pogba spent three years at Manchester United, but made just seven appearances before moving to Italy in 2012. At the time, manager Sir Alex Ferguson's relationship with the player's agent - Mino Raiola - had broken down. But the Italian has already helped broker the moves of Zlatan Ibrahimovic and midfielder Henrikh Mkhitaryan to United this summer.